After the release of the HTC One M8 Phone rooting method is available with recovery installation. 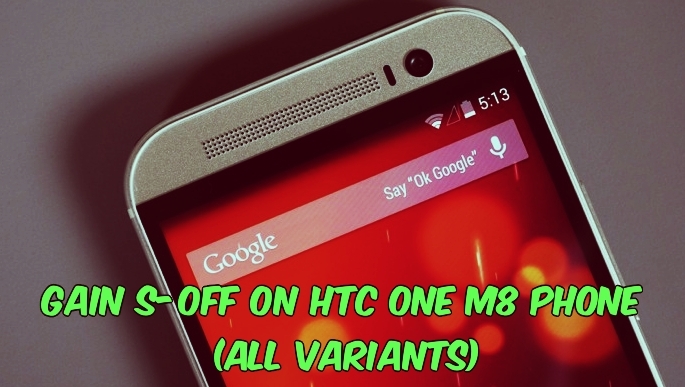 Now the Firewater developers has managed to achieve S-OFF (“security off”) on all variants of the HTC One (M8) android smartphone. Once you gain the S-Off on your M8 device, you can easily make lots of changers on your device, like install custom ROMs, Custom bootloaders, recovery menus and other kind of hardware modifications. Achieving S-Off with Firewater is relatively straight forward. To do this all you have to follow some simple guide on your device and you are done. To do this you need an unlock boot loader device and the root access on HTC One M8. This will void your warranty, so attempt it at your own risk. Modifying smartphones is no easy task so read all the instruction very carefully and follow them one by one on your phone and PC. 1. Root and Unlock the bootloader of your phone, here is the complete guide to root your device. 2. Make sure you have working ADB drivers on your computer. 3. Enable the USB debugging mode on your phone. Read the tutorial here. After following all the above mention step, head over to Firewater’s website for download and installation instructions. And good luck!